The IsoTek EVO3 Sirius is a power bar with a central filter network which removes both Differential mode and Common mode noise up to 40dB. 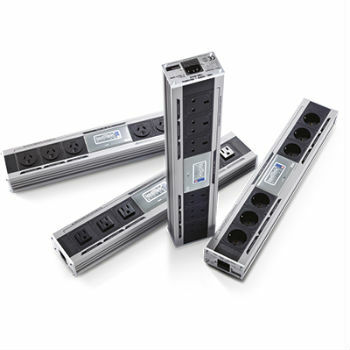 Each of the six output sockets references back to the central filter network, thus Differential mode noise cross contamination is dramatically reduced. All electrical products that draw power from the mains supply create Differential mode noise, including audio components. Connecting outlets in series with big copper bus bars enhances cross contamination of Differential mode noise which is not ideal for high quality audio replay. Sirius also offers 22,500A of instantaneous protection against dangerous power surges and voltage spikes. Housed in an extruded aluminium chassis, Sirius is a solid hard wearing power bar that can be wall mounted behind audio systems or placed discretely behind audio racks.